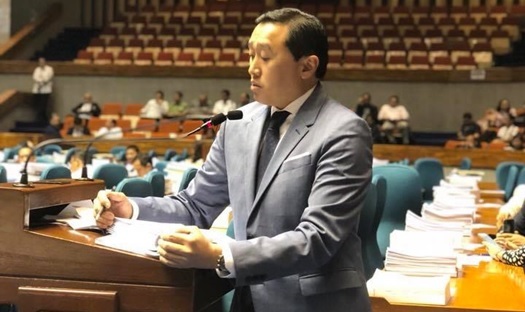 The House of Representatives approved on third and final reading a bill seeking to legalize the operations of habal-habal in the entire Philippines of which Deputy Speaker Arthur Yap is one of the authors. Yap said six bills have been consolidated into House Bill 8959 and he hopes the Senate will support it. During the deliberation on February 4, the bill got 181 “Yes” votes, zero “No” and none abstained. The substitute bill, House Bill 8959, is now entitled, “An Act Allowing and regulating the use of motorcycles as public utility vehicles, amending for the purpose Republic Act 4136 or the Land Transportation and Traffic Code and for Other Purposes”. HB 8959 substituted HB 1215 introduced by Rep. Pedro Acharon Jr., HB 2530 introduced by Rep. Juliette Uy, HB 3941 introduced by Rep. Ramon Durano VI, HB 6909 introduced by Rep. Raul Del Mar, HB 8819 introduced by Yap, and HB 8822 introduced by Rep. Rozzano Rufino Biazon. Since all these six Bills seek to legalize the operations of habal-habal so that they can be regulated by local government units having jurisdiction in the areas they operate. The six congressmen who introduced the Bills that have been substituted by HB 8959 are named as authors of the latter with the addition of Reps. Gloria Macapagal-Arroyo, Cesar Sarmiento, Mariano Michael Velarde Jr., Bayani Fernando, Gavino Pancho, Edgar Mary Sarmiento, Joseph Stephen Paduano, Wilter Wee Palma II, Alfredo Benitez, Micaela Violago, Anthony Bravo, Jose Tejada, and Federico Sandoval II. If passed into law, it would be called the “Motorcycle-for-Hire Act”. Section 2 of the proposed law provides for the Declaration of Policy which states that “[i]t is the policy of the State to render basic services to the people and promote their safety and general welfare. Towards this end, the use of motorcycles as an alternative mode of public transportation is hereby allowed and regulated in recognition of the need to provide convenience and ease of commute in urban and rural areas while ensuring public safety and the efficiency of the transportation system as a whole”. Proposed Section 3 of the proposed law provides for the amendment of Section 3 of Republic Act 4136 or the Land Transportation and Traffic Code to add a new word which is “motorcycle-for-hire” defined as any two-wheeled motor vehicle that may be registered with the LTO “as for hire and may be used as a commercial vehicle to transport passengers and goods”. This is in the condition that “for transporting passengers, the motorcycle shall have a minimum engine displacement of 125 cubic centimeters and a backbone type built”. Proposed Section 4 of the proposed law provides for the requirement of habal-habal units to be registered as motorcycles-for hire. The application for registration “shall be accompanied by a certificate of public convenience or a special permit issued by the Land Transportation Franchising and Regulatory Board (LTFRB). Proposed Section 4 also provides that “motor vehicles registered under these classifications shall be subject to the Public Service Law, rules and regulations,” as well as the provisions of the new law. Under the proposed Section 5, LTO is tasked to ensure the roadworthiness of motorcycle-for-hire before registration or renewal of registration. “To further ensure safety, no modification shall be made on motorcycles-for-hire, except the installation, based on safe engineering design specifications, of motorcycle luggage carrier, saddlebag, step board or foot peg and appropriate speed limiter and monitoring device,” as the proposed Section 5 provides. Proposed Section 6 provides for the formulation by LTO of “the necessary prerequisites and guidelines for the issuance of licenses to the driver-applicants, including theoretical and practical examinations appropriate for motorcycles-for-hire” and “LTO shall also ensure the continuous safety training of licensed drivers for motorcycles-for-hire. Under the proposed Section 7, “LTFRB shall determine, prescribe, approve and periodically review and adjust, reasonable fares, rates and other related chargers for the operation of motorcycles-for-hire”. “LTFRB may allow motorcycles-for-hire to choose and use online ride-hailing or pre-arranged transportation platforms, accredited by the proper government agency under existing laws, but the said companies or platforms….,” as further stated in the proposed Section 7. In other provisions of the proposed law, the Department of Transportation (DOTr) and the LTFRB shall give priority to higher-capacity vehicles or mass transit systems in accordance with route rationalization studies. “Motorcycles-for-hire may be allowed to operate for a limited period, with limited number of units and in specific routes only, as may be determined by DOTr and the LTFRB in coordination with concerned LGUs.